Zhengzhou CamelWay Machinery manufacture is one of the large-scale enterprise specializing in construction machinery. The company was found in 1983. In 2000, the company passed ISO9001 Quality System certification. Our company is specialized in producing large and medium-sized construction machine, and adhere to the management idea of “quality achieves the dream”. 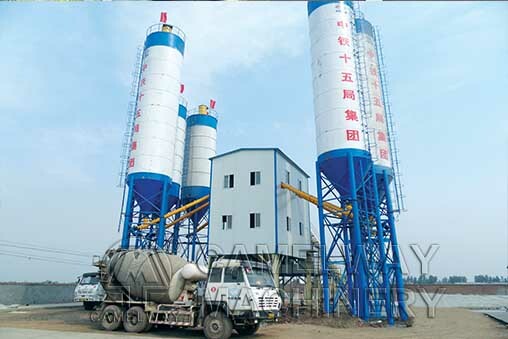 The main products of our company are WCD stabilized soil mixing plant, HZS concrete mixing plant, JS concrete mixer, PLD concrete batching machine, HJC concrete transport truck, cement silo, and screw conveyor. The company with four factories,380,000m2,32 workshops,over thirty-three years concrete mixing machine produce experience can produce HZS60 concrete batching plant, HZS90 concrete batching plant, HZS120 concrete batching plant, HZS180 concrete batching plant. They are all belt conveyor concrete batching plants. HZS25 concrete batching plant, HZS35 concrete batching plant, HZS50 concrete batching plant and HZS75concrete batching plant are also on our catalog.